Motor drive module is very suitable for use in battery powered smart car, toy car, robot and so on, the supply voltage of 2V~10V can simultaneously drive two DC motor or 1 4 line 2 phase stepper motor, can achieve positive and speed control function, each current to 1.5A continuous current. The peak current is up to 2.5A, with thermal protection and automatic recovery. 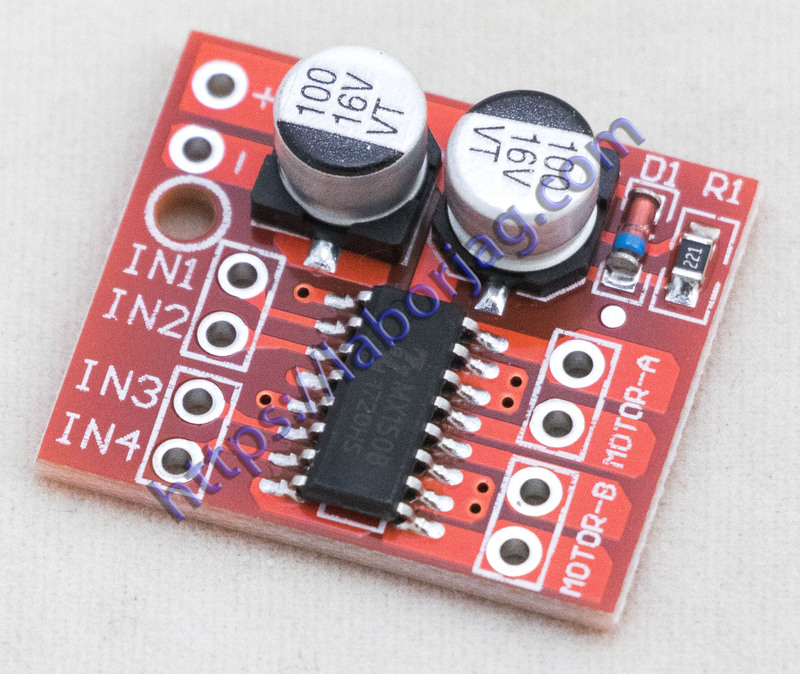 1 imported professional motor driver chip, built-in low conduction resistance switch MOS, heating minimum, without radiator, small volume, energy saving, is your ideal choice for battery powered. Mounting hole diameter: 2 mm.